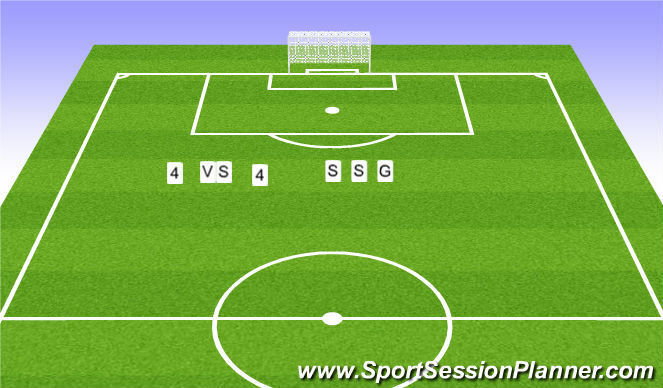 Organization: Split 2 groups:4vs4+4neutrals and drill for receiving to go forward.Like in the picture. 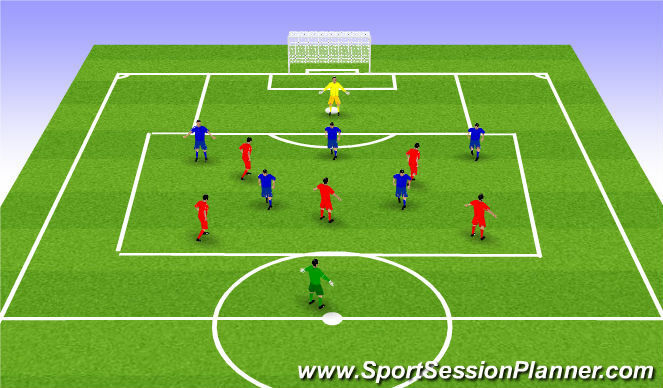 Organization:Gk+5vsGk+5 for the build up from defensive third. 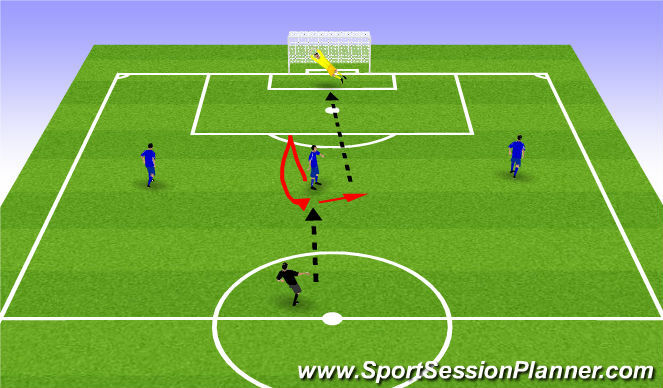 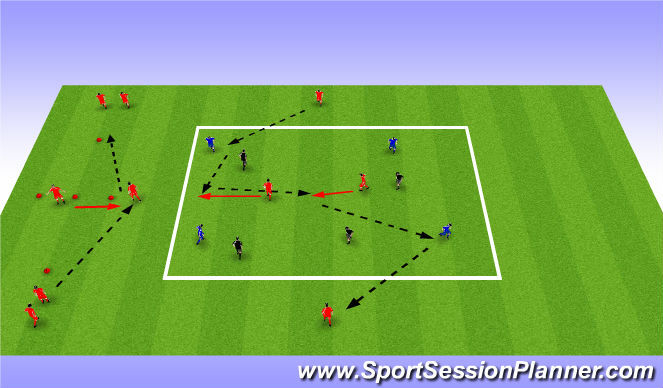 Organization:strikers receiving from behind to go forward and finish,combinations,assist,crossing.